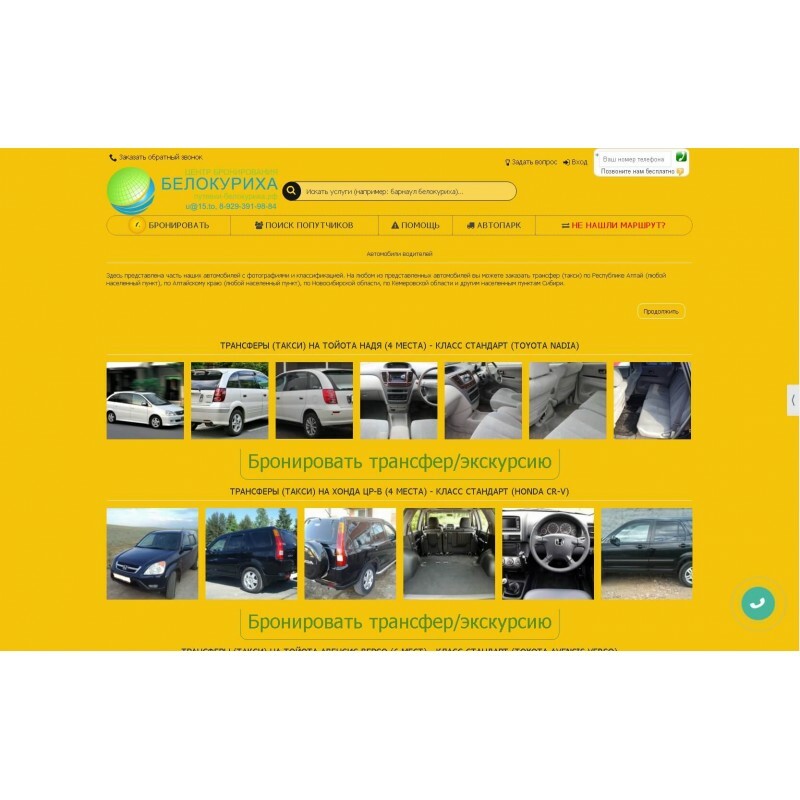 Subject: The site provides an opportunity for people to book transfers, taxis and other vehicles in the Altai Territory, the Altai Republic and in other regions of Siberia. Client Location: Russia, the city of Belokurikha, Altai Krai. Site Address: Main page - путевки-белокуриха.рф. The challenge: to create a modern website with the possibility of transfer order.